Total War: WARHAMMER – Dark Gods Edition is a limited physical edition release of Total War: WARHAMMER that includes three race packs (along with unique Legendary Lords and gameplay mechanics), new artwork, and a free Warhammer ebook. 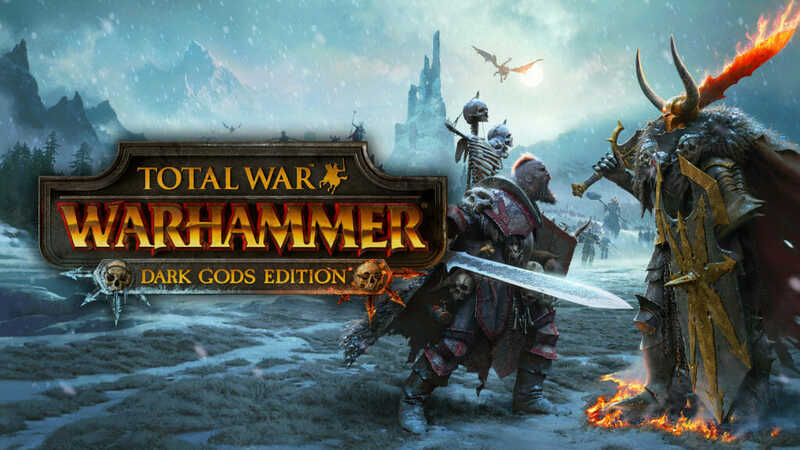 Total War: WARHAMMER – Dark Gods Edition is available from select physical retailers in certain territories around the world. Please check with your favourite stockist for details. 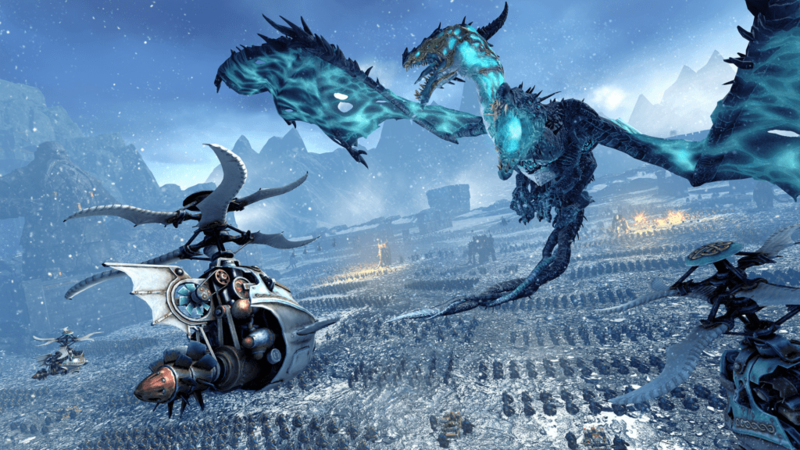 Total War: WARHAMMER – The Old World echoes to the clamour of ceaseless battle. The only constant is WAR! The publicly and critically acclaimed Total War: WARHAMMER is the fastest-selling Total War title ever, combining the unique turn-based campaign and real-time epic warfare of Total War with Games Workshop’s world of Warhammer Fantasy battles. 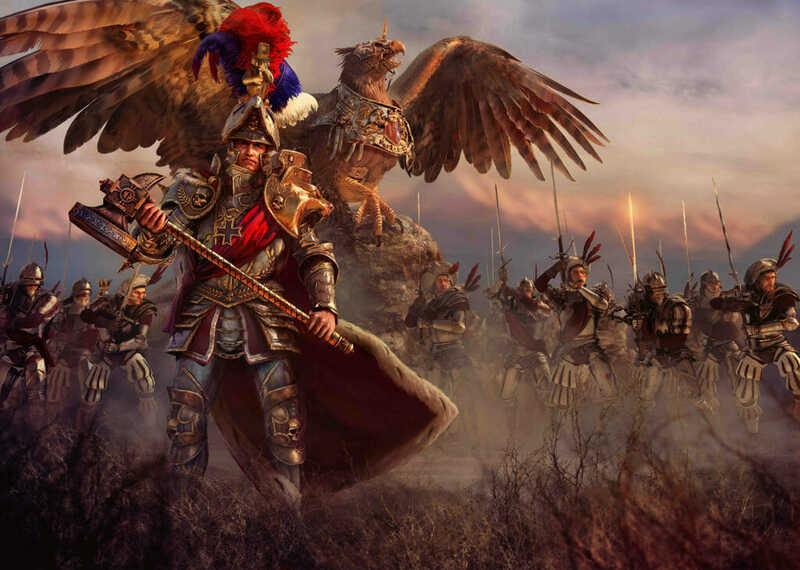 Bretonnia – In the mists of times past, the regions between the Great Ocean and The Grey Mountains were secured by Gilles le Breton, and Bretonnia was founded. Now ruled by the mighty warrior-king Louen Leoncoeur, Bretonnian society revolves around a deeply ingrained code of chivalry, and its people offer fealty to their Goddess, The Lady of The Lake. It is said that a Knight who distinguishes himself through honourable deeds may earn her blessing. Norsca – In the far north, between the Chaos Wastes and the Sea of Claws, lies Norsca. A barren, inhospitable peninsula in the far north of the Old World, it is home to ferocious tribes of warriors, hardened by the relentless blizzards, the barren icy tundra, and the monstrous denizens of this accursed land. Fanatical servants of the dark gods, they will stop at nothing to prove their primal might in a relentless hunt for worthy foes and fresh raiding grounds. Chaos Warriors – Beyond the barren Norsca Peninsula lie the Chaos Wastes, a land shrouded in darkness, frozen in an unnatural, never-ending winter. Here, the mortal realm and the immaterial realm of Chaos overlap, creating an uncontrollable gateway to that infernal dimension from which all manner of nightmarish creatures spew forth. Lead the corrupted hordes and lay waste to the Old World as the dreaded Chaos Warriors. 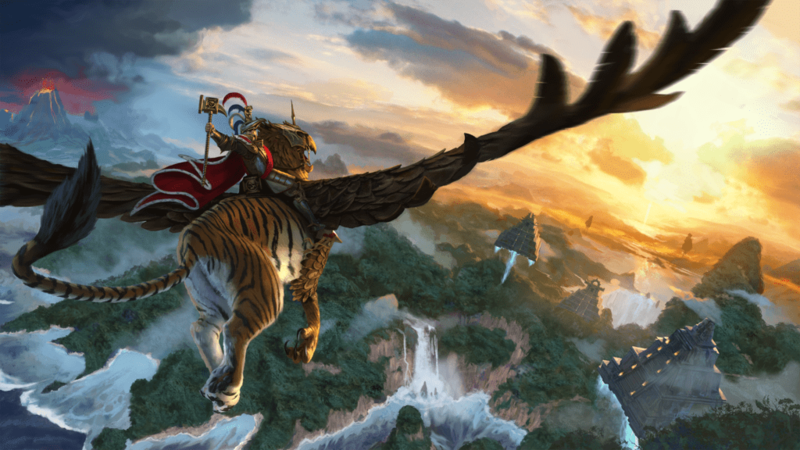 As well as brand-new box artwork by Jose Cabrera Pena featuring Wulfrik the Wanderer and Archaon the Everchosen as they march their armies to battle, the Total War: WARHAMMER – Dark Gods Edition also includes a free Warhammer ebook from the Black Library. Lord of Chaos sees Archaon the Everchosen face unimaginable perils and devastating betrayals in his quest to assume the mantle of Lord of Chaos, the harbinger of the End Times.